Raising capital can be a thriller. Reality beats fiction hands down. This is the riveting account of my company’s first round of seed capital financing. The true identities of parties involved have been withheld. 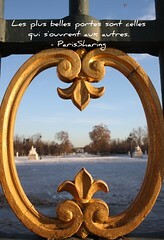 I founded ParisSharing in early 2010 with a pocket’s worth of personal capital. Its survival in 2012 would be compromised without an inflow of seed capital. The goal is not to survive, but to grow. The ambitious business plan bet on a bound from a meager first year of 20k€ in sales to 4.5 million € within five years. Ambitious business plans are the only ones that attract investors. Who wants to risk money on half-hearted hopes? The paradox of this of course is that business plans are systematically over-optimistic. With my principal associate who joined me in 2011, we began efforts in May to meet a target of 300k€ in seed capital by the end of the year. Still too small to interest VCs, and not sufficiently technological or innovative to interest most business angels, we started off by inviting our personal network of professionals to a kick-off event. Our goals was to convince ten persons to invest 10k€, five to invest 20k€, and one to invest 100k€. We held the event in an art gallery on May 19th and served up the finest champagne for the occasion. Our presentation generated interest, but no one left a check that evening. The subscription period was set to last until December 30th, but we hoped to wrap it up by September. The longer we had to wait for the money, the more we would have to delay our development plans, and the more our business plan would veer off course. When September came around, we had only cashed in 18k€ out of the 300k€. The economy was reeling, with Europe in particular running the risk of a systemic crisis beginning with the Greek default. People with money to invest were having to digest massive loses on the stock market. Every one had the jitters, and making risky start-up investments was the last thing on most people’s minds. The best news came at the very end of that month. A CEO of a major media company (“Investor J”) told us he was willing to invest 140k€, if and only if we met a target of at least 250k€ in total. We hoped that this would help us to attract investors who were reticent to make the first step. The next two months were hectic, writing to just about everyone we could think of, including some of France’s major serial investors. To little avail. By the time December came around, we had only a few more commitments, totaling 40k€ in all. Not only did it seem impossible to reach our 300k€ target, but we were on a course to lose the conditional 140k€ and our most promising investor and mentor (investor J). On Dec. 6th, 9:30pm we present to a club of 40 Business Angels in 10 minutes, with 10 minutes of questions. We followup with a meeting four days later involving a handful of interested “angels”, and receive confirmation on Dec. 19 for 20k€. Now we had made it to a total of 60k€, and were still lacking 50k€ to secure the funding from investor J.
Dec. 21st, 12:30pm. Investor J calls us from the airport. He is about to leave on vacation until Jan. 2nd, and wants to make his decision. His decision is a no go. Fair enough, because we hadn’t yet met our minimum of matching funds. But not fair, because we still had 8 days left to find those funds. In fact, we were scheduled to make a presentation one hour later to a group of four potential investors. We manage to persuade investor J to differ his final decision until the next day, and suggest that he reduce the amount of his investment by 30% rather than pulling out all together. Dec. 21st. 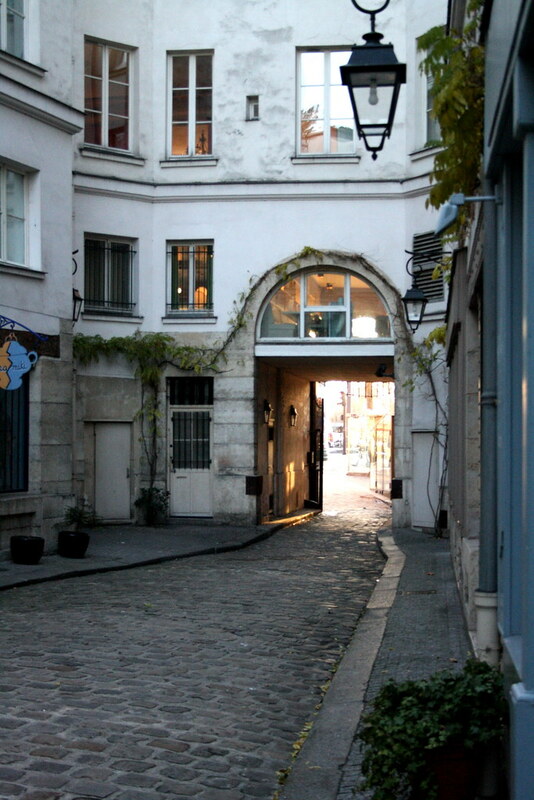 1:30pm, rue de la Boëtie. Presentation to a group of four potential investors (the fabulous four) who contacted us for the first time the day before. We were in a hurry to find investors, and they were in a hurry to find an investment before the end of the year (mainly for fiscal reasons), so we lost no time in organizing the meeting. Two hours after our meeting, we receive confirmation for an additional 100k€, if and only if we raise a minimum of 250k€. Dec. 22nd. 7:00am. Conference call with investor J. We break the good news that we were at last able to find the matching funds. Investor J had not expected this last minute strike of luck, and had prepared to break the bad news that he would withdraw. A satellite hovering somewhere over Siberia relayed the several seconds of silence between him (in Cambodia), and ourselves in Paris. The future of the company was hinged upon what he would tell us in the next few minutes. And there we were, at the climax of a crisis of cooperation and at the verge of collapse. When A requires B, and B requires A, where is the way out? If that question could be answered in a general way, our world’s problems could be solved. Dec. 26th, 2pm. We call up the fabulous four and explain the situation. They had already made arrangements with their bank, because the funds had to be cleared without delay. The fabulous four were frankly discontent. However, rather than pulling out, they agreed to put in an additional 20k€ in exchange for special privileges at the next investment round. We now had 240k€ secured. Dec. 27th. We were still short by 10k€. We contacted several minority investors and offered them the chance to chip in a bit more. Dec. 30th. Confirmation from the bank that we had indeed reached our minimum of 250k€. Jan. 2nd, 2012. Work begins! It is never too late until the very end. At the most critical of all moments, our capacity to save the day is at its greatest. This entry was posted in Entrepreneurship, ParisSharing and tagged "cooperation dilemma", financing, seed capital, start-ups, suspense. Bookmark the permalink.